/ Modified sep 27, 2016 12:50 p.m.
Construction on the road that connects the Mariposa Port of Entry to Interstate 19 has been moved up to 2019. The first phase of rebuilding State Route 189, also known as Mariposa Road, will focus on traffic that has just entered the US at the Mariposa port and is heading for I-19. It includes improvements to northbound lanes, improvements at Target Range Road and building a flyover entrance ramp to northbound I-19. The project has been split into two phases due to budgetary issues. The Arizona Department of Transportation has found a little less than half of the needed funds for the project. 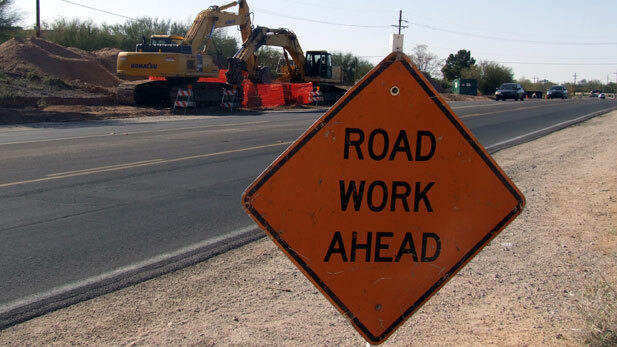 “This gives us the, if you will, biggest bang for the available money that we had as we continue to look at finding the funding necessary to finish this in both directions,” said ADOT Executive Officer Floyd Roehrich. Roehrich said there tends to be more northbound traffic on SR 189. Mariposa is the busiest port in Arizona, and most of the state's $30 billion in annual trade travels through it. Phase one will cost $65 million, $40 million of which is covered by federal funds. Phase two will cost $75 million, which will include improvements to southbound SR 189, a raised median and improvements at the road's Grand Avenue intersection. Roehrich said the first phase should be completed by early 2021. There is no timetable for phase two. MORE: Arizona, Economy, Government, News, Santa Cruz County, Transportation, U.S.